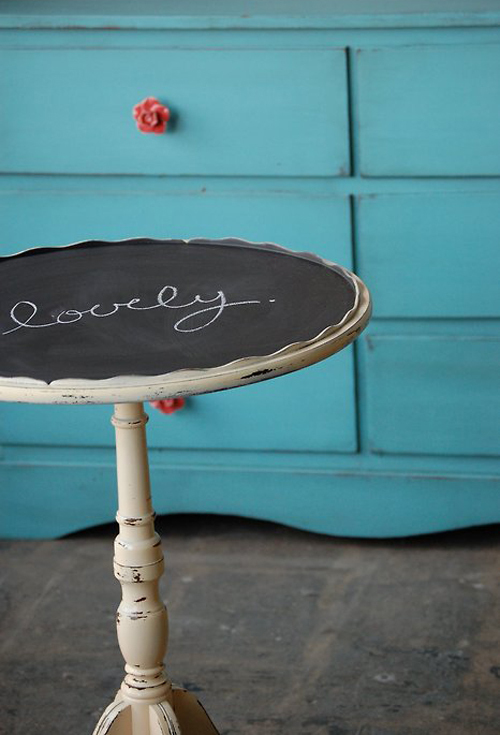 Today I’m loving … this lovely small table with chalkboard paint. That pic is from Knack Studio’s! Lovely Barb does beautiful work! This idea I´m going to steal! Lovely!